As we have discussed in the earlier posts, Facebook is made up of user profiles, groups & pages. Among all these options, Facebook Groups are the easiest way to target the mass audience. If we opt Facebook profiles, the 5000 friends limit will never allow us to get the maximum needed exposure. Please don’t waste any of your valuable time on Facebook profiles. In the case of personalized Facebook Pages, you have to gather at least 30K likes if really wants any exposure to your brand or community. Believe us, that’s never an easy task to perform. Off Course yes, by doing expensive advertisements you can achieve that anytime, but does this make any sense ?. Hence, the only option left here is, Facebook Groups. These Groups can prove to be a turning point in any promotion campaign, but you have to use them intelligently. Actually, Today we are here to discuss the same, to post to multiple Facebook Groups efficiently, or you can say at once. Prior to start this, we request you to hold a cup of coffee in your hands as this may take loads of time to set it up 🙂 . There are plenty of Facebook Groups available, You don’t have to JOIN each and every of them. Prior to join any, just make sure to join only to those groups that are related to your subject. 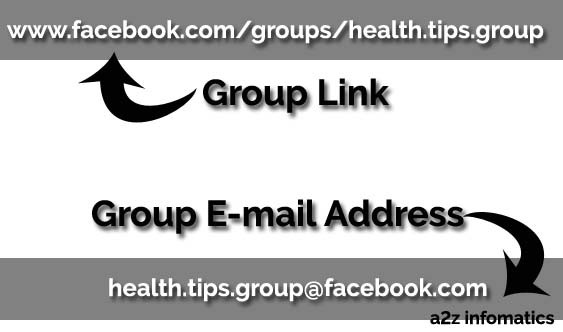 For easy understandings, If the subject of your post is health related, only search for the groups related to the health category only. For example, health news, health tips, health is wealth etc etc. The other thing you always have to remember, is to JOIN with only those groups which have at least 10K+ members. You can also sense the quality of the group by checking current activity there. By this we mean, to check how many posts has been posted within last 24 hours, how many people has liked OR commented to the posts etc etc. This will give you the clear view about how active the group is. After all, we don’t want our posts to left alone somewhere. We have seen many groups with over 30K member without any activity, these groups are useless and can’t help you in this cause. Also ignore the Groups, where ADMIN Approval for the posts is necessary, here 9 out of 10 times Mr Admin will not approve any of your post. We HOPE you have completely understood the selection process of the Facebook Groups. 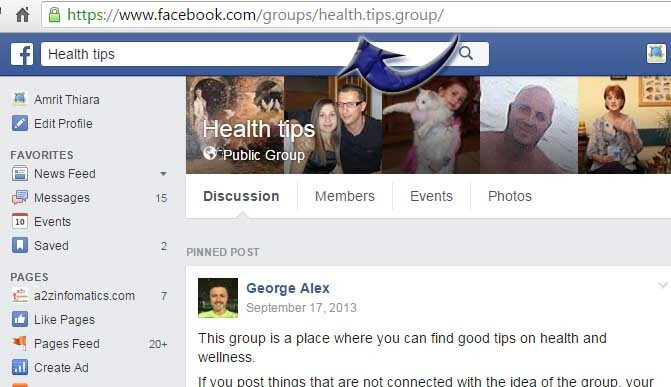 Join at least 25-30 Facebook Groups using the above technique, it may take 4-5 days to filter the Groups to JOIN. Have some patience please, 75% of the task will be completed once you JOIN to these filtered Facebook Groups. 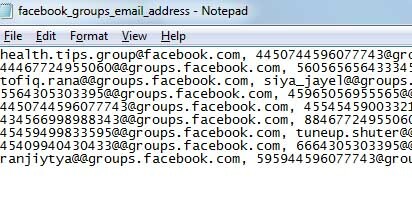 Gathering E-Mail Addresses of Facebook Groups. Note: Only this “GROUP-ID” will differ for each group, everything else remains the same. Check the image below for better understandings. How to Post to All Joined / Multiple Facebook Groups. 1)– Stay Logged in to your Facebook account and LOG-IN to your email identity (email id used to register at Facebook). 2)- Hit Compose Mail Now. 3)- As instructed earlier, Copy-Paste all the email addresses from the NOTEPAD (saved earlier separated by comma) to the “TO” section of Compose Mail. 4)- Don’t worry about CC or BCC Section, leave them empty. 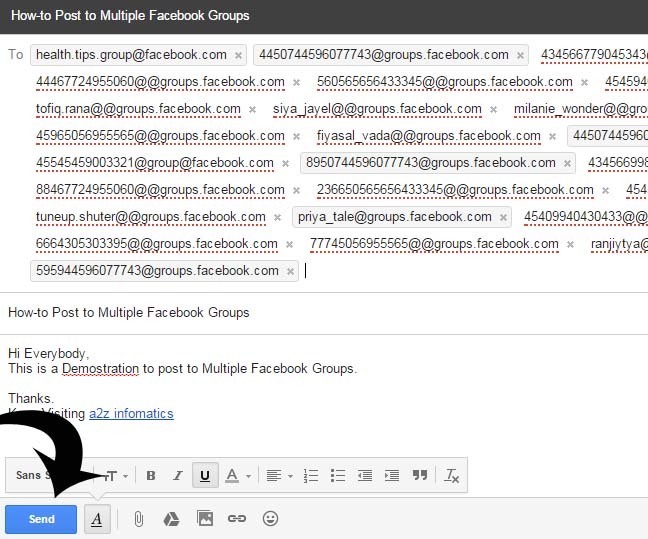 Write any desired message you want to send to these Facebook Groups. Here, you can send the text as well as hyper-links. 5)- Here comes the END, Hit “SEND” and blast away your message to all the Facebook Groups. Congo!, You have successfully POSTED and have learned HOW-To post to multiple Facebook Groups. Check out the activity log of your Facebook profile, hundreds of notifications are just eager to hit that place 🙂 . Precautions while posting to multiple Facebook Groups. Always keep this in your mind that Facebook is tracking all your doings. Never ever try to make fool of this big Social Giant. Make this a note, to post only once in a single day using this technique. If you post frequently, you may get banned for posting to these Facebook Groups. Some rules apply to the messages too, don’t include any irrelevant links in your messages, having no relation with the subject. Facebook may treat them as SPAM, be careful all the time and do it Intelligently. Limitations while posting to multiple Facebook Groups. Inability to share any photo or video to the Facebook Group. Inability to add the files to the Facebook Group. No Preview for the included links. You can’t participate or can ask questions from group members. Normally, the Facebook People warns us for doing something wrong. By using this method, we will never get any WARNING and this may END with Permanent Suspension of our posting rights to the Facebook Groups. Some Alternatives to post to Multiple Facebook Groups. Rather than of using the above method, there are plenty of alternatives too. You can use the online services of Hootsuite, post cron and post planner. They all have the needed options, to schedule our posts, share our links (using image preview), share the pictures etc. The only sad thing about using these wonderful services is that, some of them may ask you to go for the payments 🙂 . Don’t you think, this FREE method (we have discussed today) about posting to multiple Facebook Groups is best among the all. That’s it, we are ending this now. 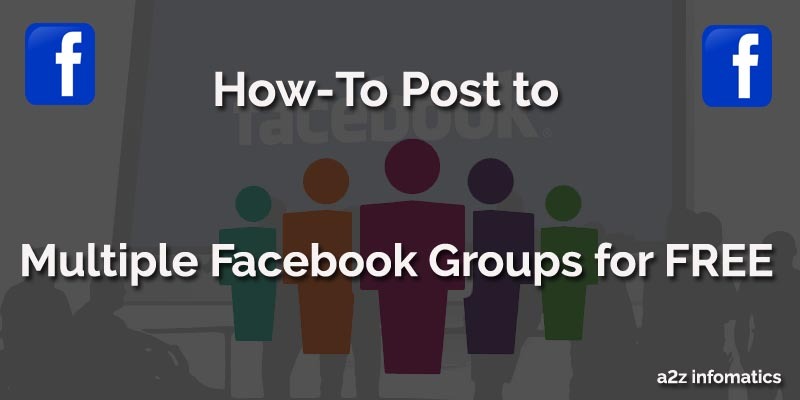 We hope you have liked our effort to Demonstrate How-To post to multiple Facebook Groups. Please do share any of your experiences related to this. The whole internet community will get benefited by this. Thanks for the readings again. God Bless Everybody.